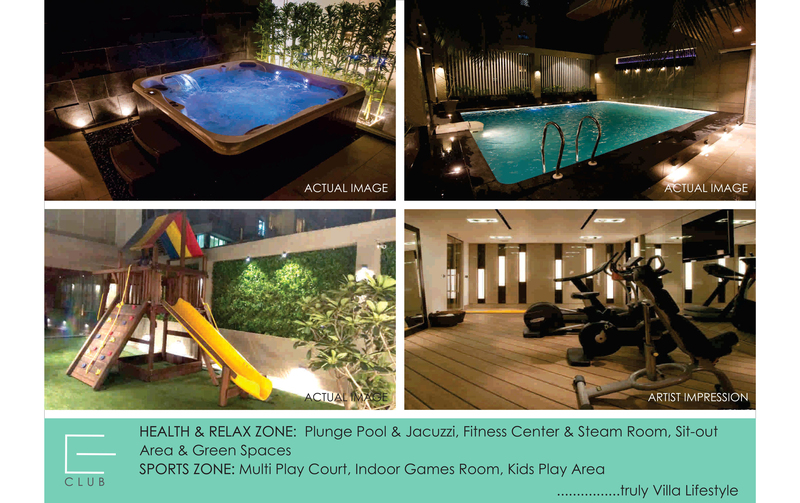 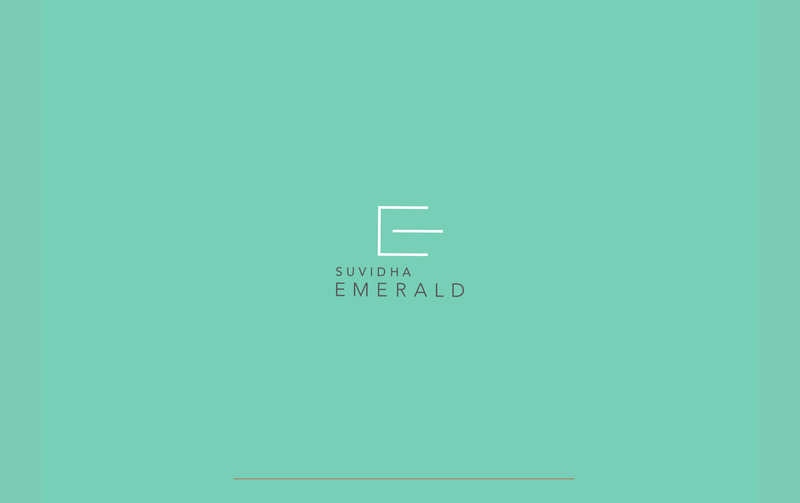 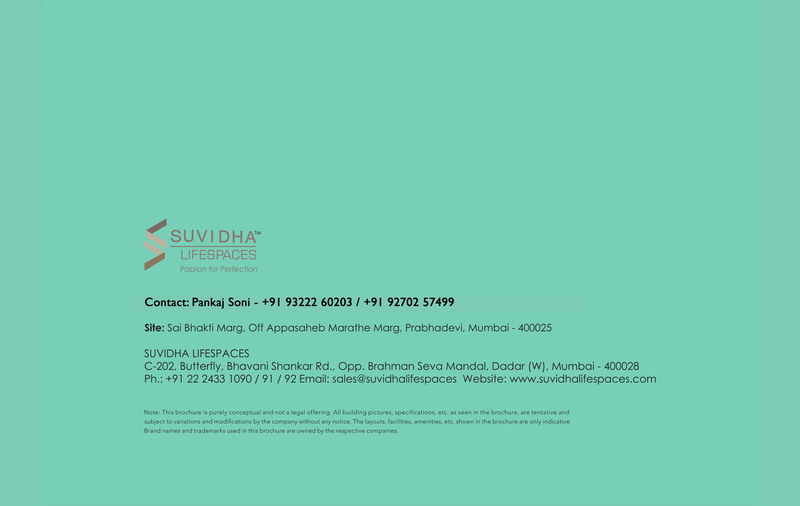 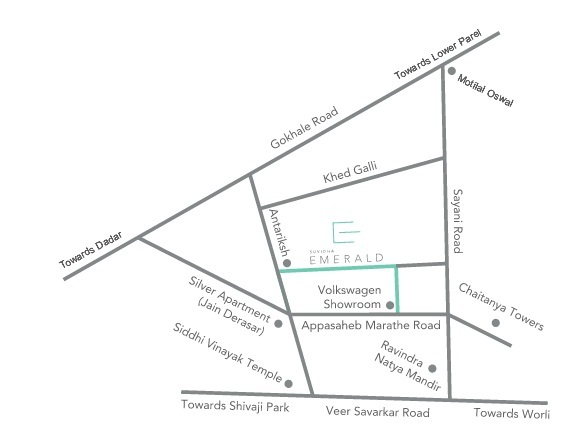 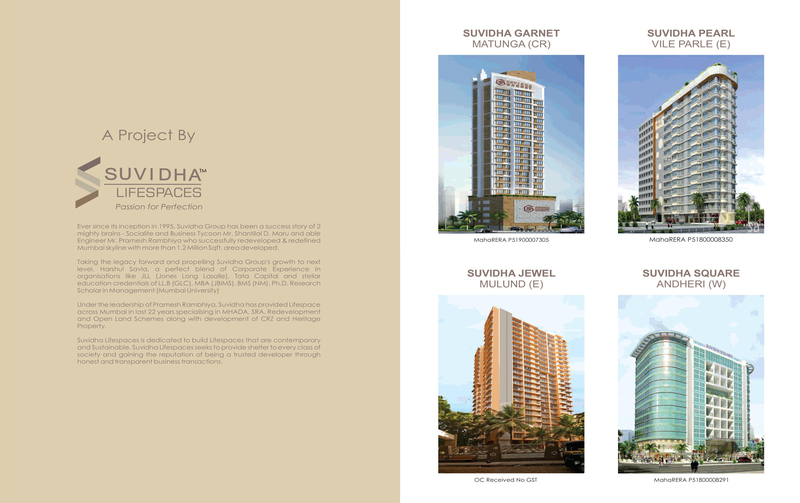 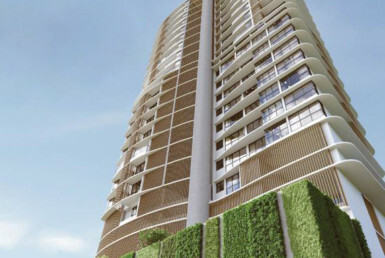 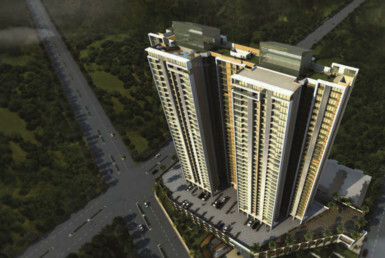 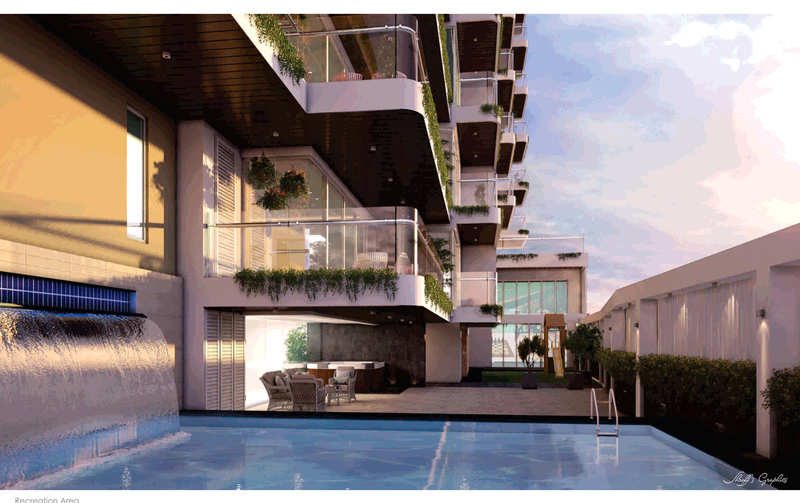 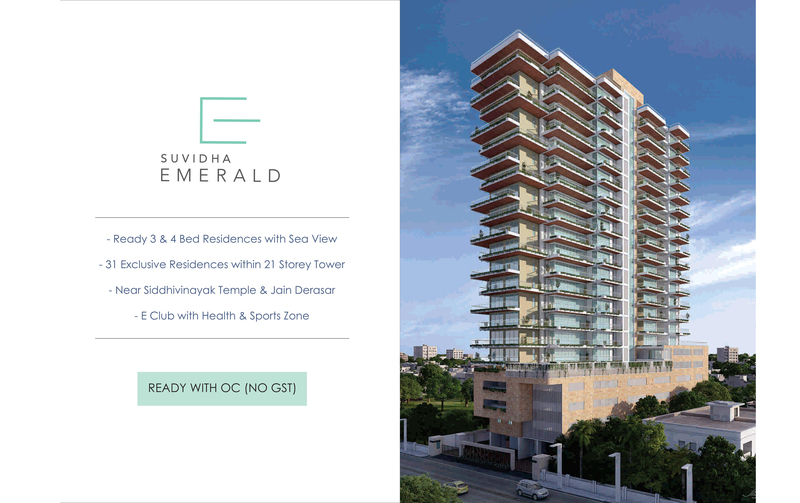 Presenting ‘Suvidha Emerald’, Experience Villa Lifestyle at Prabhadevi. 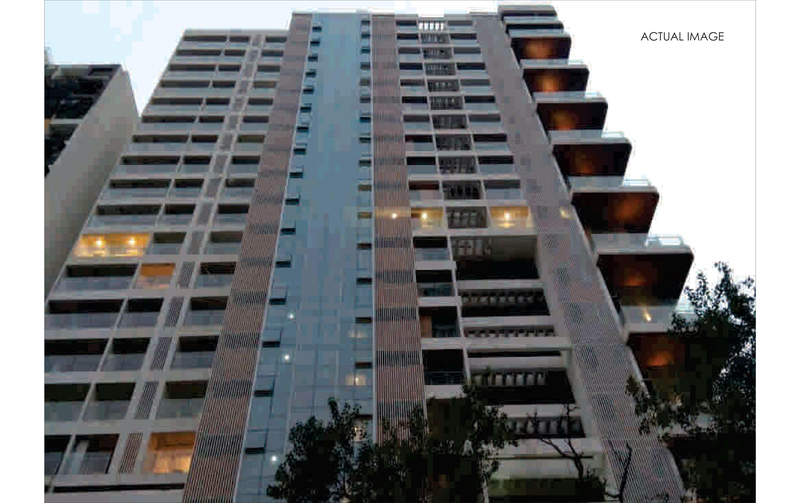 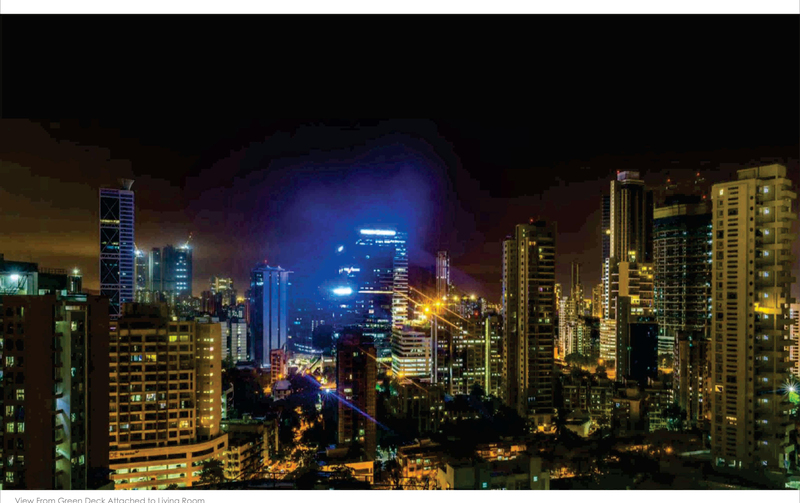 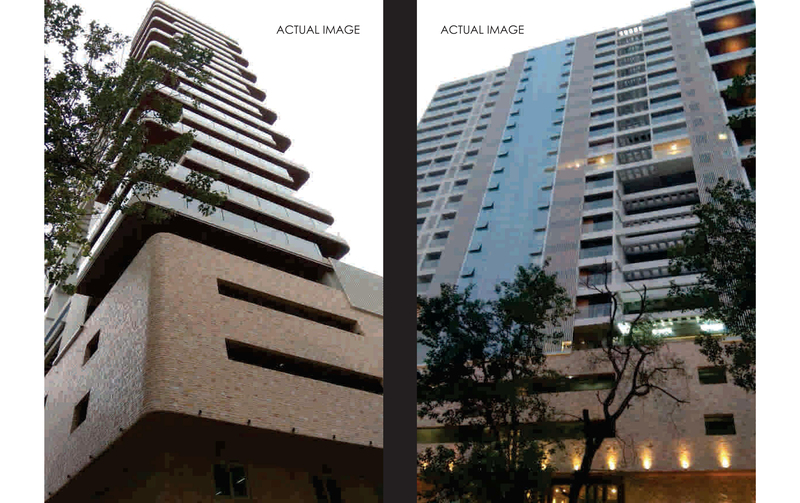 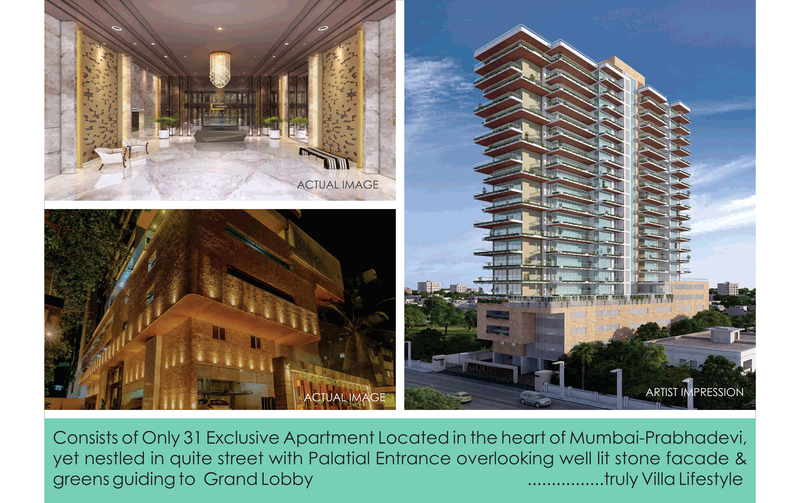 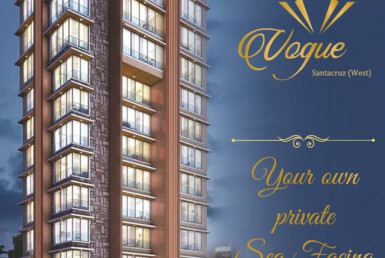 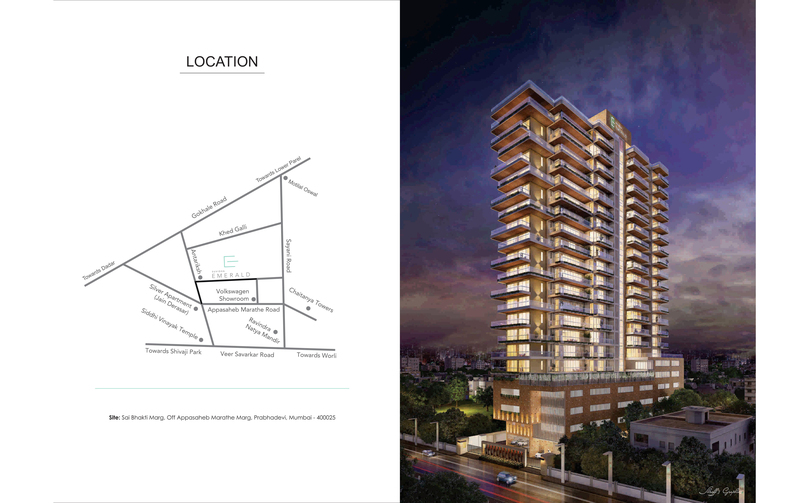 Consists of only 31 Exclusive Apartment located in the heart of Mumbai-Prabhadevi yet nestled in quite street with Palatial Entrance overlooking well lit stone façade & greens guiding to Grand Lobby. 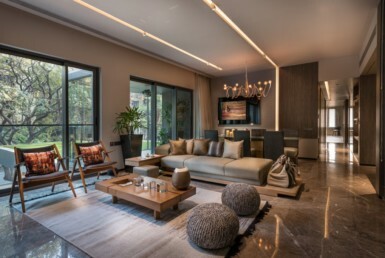 Separate dining space spread across 700 Sq. 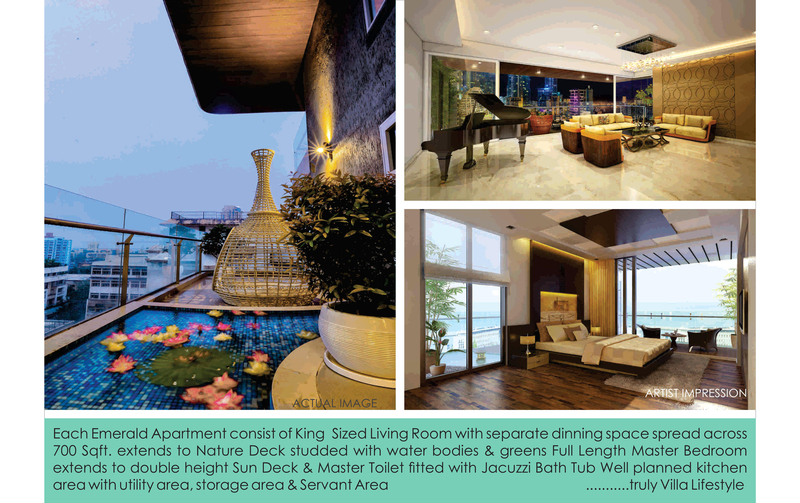 ft.
Well planned Kitchen area with Utility area, storage area and servant area. 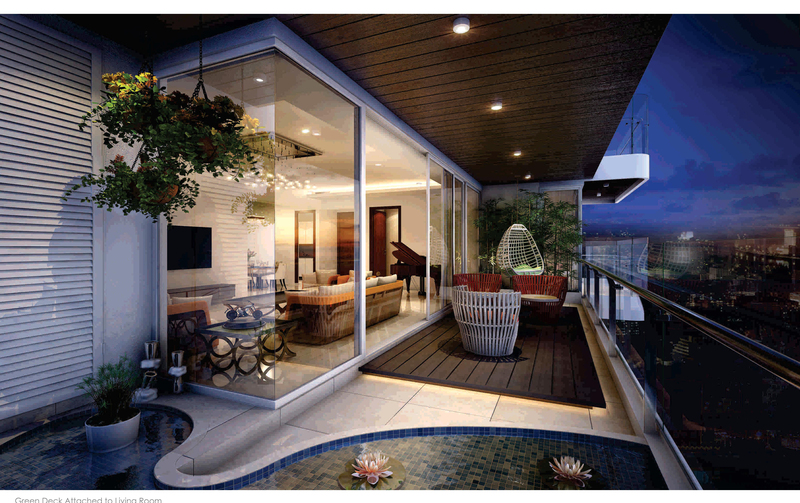 Usable Carpet Area 2600 Sq. 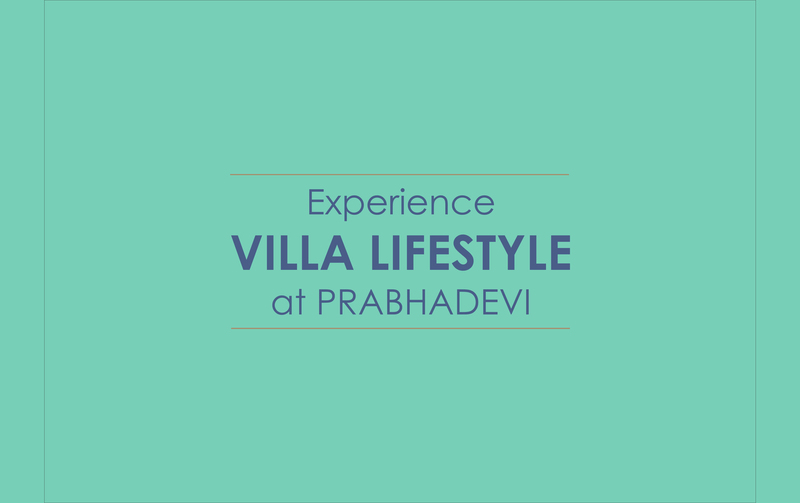 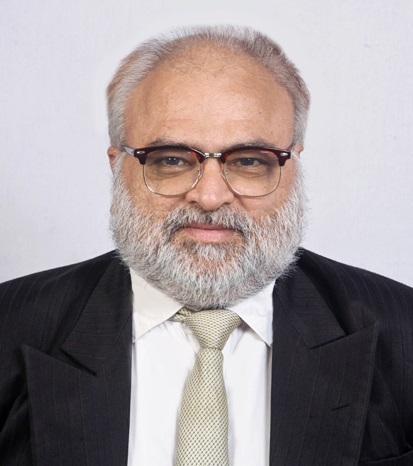 ft.
Development Charges, Club Membership Charges, Stamp Duty, Registration Charges, Society Charges.